Nokia has recently announced three new mobile phones at the Nokia Music event. 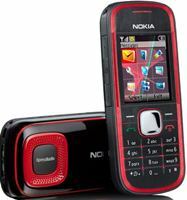 The phones are Nokia 5730 XpressMusic, 5330 XpressMusic and 5030 XpressRadio. The 5730 XpressMusic and 5330 XpressMusic phones are integrated with “Nokia’s Comes with Music Service” which will allow users to download unlimited music from the Nokia Music store for a year or 18 months. 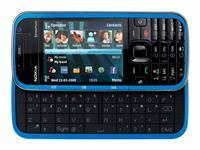 Nokia 5730 is the Nokia’s first music phone with a full QWERTY keypad. The new Nokia 5730 is featured with a newer home screen that shows up to 20 favorite contacts and offers quicker access to media playback as well as application like Facebook. The music shortcut key has been enhanced for access Nokia Music Store through which the users can download music and find details information of artists. Featured with a 2.4-inch QVGA display screen, Nokia 5730 is also equipped with a 3.2-megapixel camera. It boats with an internal memory of 100MB, supports memory expansion up to 16GB, running on Symbian S60, built-in FM radio, Bluetooth enabled and supports Wi-Fi connectivity. At the mid-range, Nokia 5330 XpressMusic is featured with a traditional number pad slider. The new Nokia 5330 is equipped with a 2.4-inch QVGA display and sports a 3.2-megapixel camera with LED flash. The ultra compact phone is also allows users to access various social networking sites such as Facebook, MySpace. In addition, it also offers Bluetooth headset, Nokia stereo headset WH-500, Nokia mini speakers MD-8 and supports video recoding. The entry Nokia 5030 XpressRadio is featured with an internal FM radio antenna that offers an exceptional radio listening experience without any hassle. It has dedicated channel tuning keys as well as a powerful battery that can keep you in tune throughout the day. The Nokia 5730 and 5330 XpressMusic phone are expected to be available in the third quarter of 2009 and at the price of 280 EUR and 160 EUR respectively. The Nokia 5030 phone is expected to be available in second quarter of 2009 and is priced less than 40 EUR.